Scoil na gCláirseach - 2009 photos. Back row: Jim Johnston, Donna MacDonnell, Barbara Karlik, Cynthia Spencer, Neil Hudson, Sue Phillips, Mario Giardini. 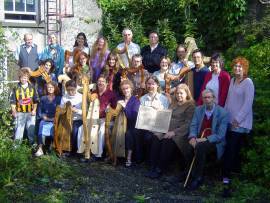 2nd row: Karen Loomis, Whitney Dobyns, Sylvia Crawford, Paul Best, Kathy Hillis, James Ruff, Maura Uí Chróinín, Brenda Malloy. 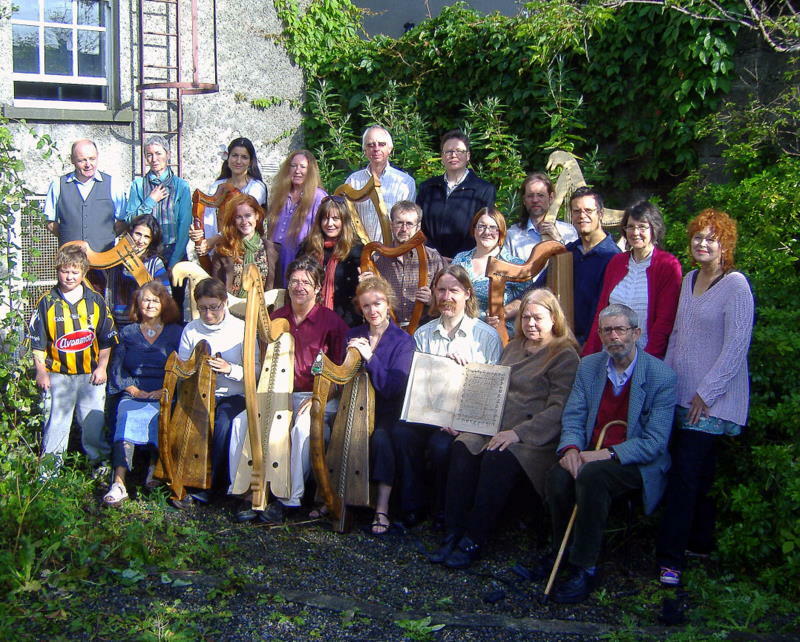 3rd row: Dáithí Mac Ficheallaigh, Jane Carter, Natalie Surina, Andrew Lawrence-King, Siobhán Armstrong, Simon Chadwick, Ann Heymann, Micheál Ó Geallabháin. Not in the photo: Elizabeth Cloutier, Sayaka Hirose, Christine Rolin.